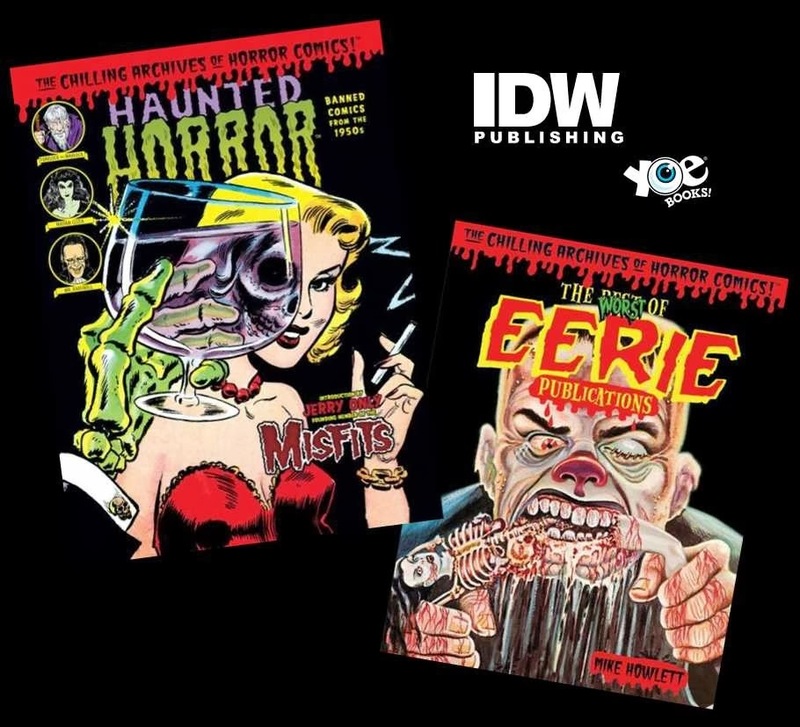 A few updates on some new IDW / Yoe Books Chilling Horror hardcovers coming soon, as recently revealed on the HORROR COMICS facebook group– (join HERE if you haven’t already!) Firstly, sometime here at the end of 2013 we’ll finally see the HAUNTED HORROR Vol. 1 hardcover collection featuring issues 1-3, plus some bonuses, as well as an introduction by Jerry Only, original founding member of the Misfits! 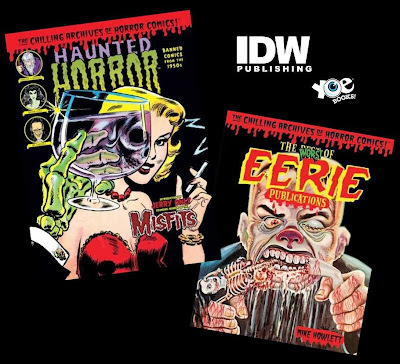 And secondly, just announced days ago, Mike “Howler” Howlett is planning a foreboding follow-up to his amazing Weird World of Eerie Publications book with a collection of the “worst” stories collected from various issues, coming in 2014– eeek! More news to follow at the HORROR COMICS group, as well as right here at THOIA of course!